John Bertolero blazed a path through the Black Hills Conference on his way toward a collegiate showdown against one of the greatest players in basketball history. While pacing Lead High School to BHC championships, Bertolero was all-state twice. During his junior season he scored 38 points to set a league single-game record. Then as a senior he surpassed that mark by notching 46 against Spearfish. The Golddiggers reached the State Class A tournament in 1955. They defeated Brookings 69-48 to finish seventh. Bertolero was chosen to the all-tourney team. Lead fell just short of a return trip to the tournament in 1956 when Belle Fourche edged Coach Maurice Fitzgerald’s Golddiggers in the finals of Section 8. Bertolero averaged 25.2 points per game that season. Lead, Rapid City and Belle Fourche were tri-champions of the BHC. The impressive talent of the 6-foot-3 forward was widely recognized and Bertolero was successfully recruited to the University of Wyoming by Coach Everett Shelton. 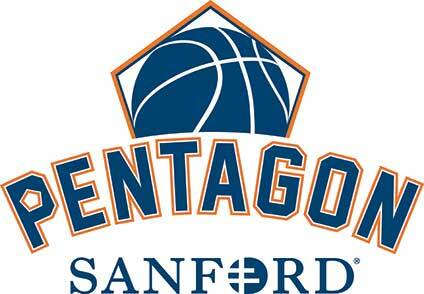 The Cowboys played in the Skyline Conference at that time before moving to the Western Athletic Conference in 1963. They later settled in the Mountain West Conference. Shelton was a veteran coach who had guided Wyoming to the Final Four and a national championship in 1943. He headed the Cowboys program from 1940 to 1959 and his teams won eight Skyline titles. Shelton’s career record was 328-201. Bertolero earned three varsity letters at Wyoming and was a valuable starter. 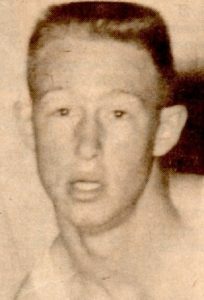 He led the Cowboys in rebounding with 9.5 per game in 1958 when they won the Skyline championship with a 10-4 conference record. Among non-league wins that season by Wyoming were impressive victories over Big Ten Conference opponents Michigan and Wisconsin. By virtue of its Skyline title, Wyoming advanced to the NCAA Tournament. The Cowboys’ first-round draw was an extremely tough one – Seattle University. The then Chieftains (now the Redhawks) were highly rated and were built around All-America star Elgin Baylor, a 6-5 forward who averaged 32.5 points per game. Baylor would go on to glory with the Minneapolis/Los Angeles Lakers and be named to the all-NBA first team 10 times. Bertolero made a strong showing against Baylor despite the Cowboys losing to Seattle. Bertolero scored 22 points to lead Wyoming. Baylor had 26 for the Chieftains. Seattle then advanced to the Final Four. After beating No. 1 ranked Kansas State, the Chieftains faced Coach Adolph Rupp and his Kentucky Wildcats in the national championship game. Despite playing with a broken rib, Baylor notched 25 points. But the title went to Kentucky 84-72. Bertolero was also an elite golfer who won the prestigious Black Hills Open. He lives in Corvallis, Mont.